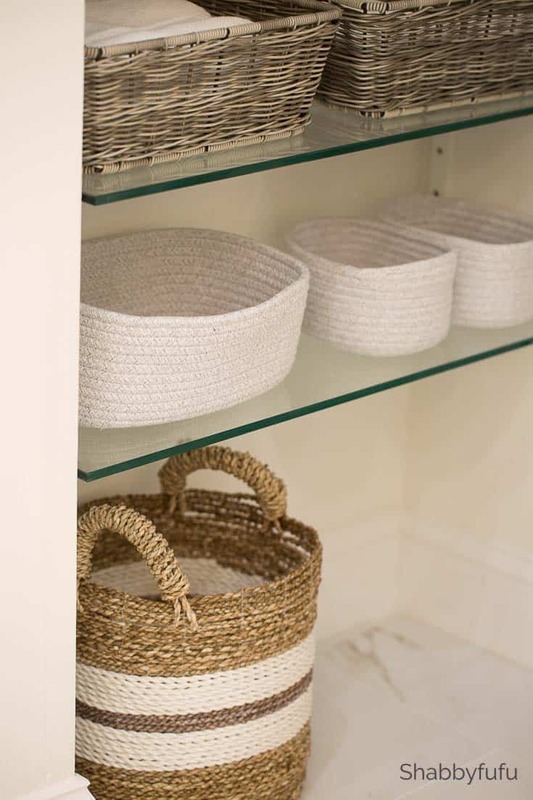 Organization is something that we all strive to master and in this post I’m sharing bathroom storage baskets, tips and diy projects. 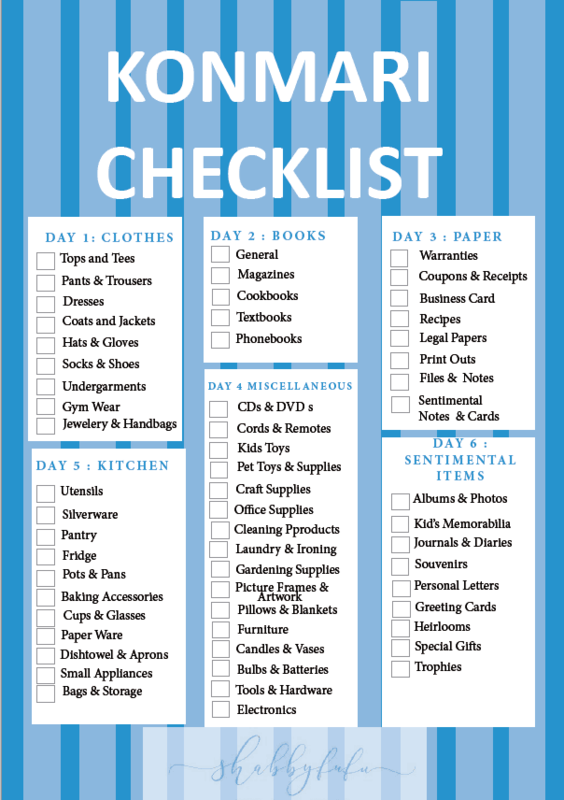 If you are a blog subscriber I have a new free printable checklist that you should find most helpful in organizing your entire home. When Marie Kondo’s book The Life-Changing Magic Of Tidying Up was first released a few years back I was intrigued. We have lived in our home for so long now that things just have had a way of piling up. It’s was easy to ignore while busy raising kids and all that goes with that. With our recent renovations I’ve been tidying up and organizing. The kitchen was the first to organize and that always starts with purging. Plastic food storage was donated and now I have these stackable glass containers that are so reasonably priced. In Marie Kondo’s book and now Netflix show, she speaks of “sparking joy”, which is basically keeping only what you love. In the bathroom though it’s more like keeping what you need, and bathroom storage baskets are one of my favorite ways to organize. The baskets above were found inexpensively and now are filled with fluffy towels and cosmetic essentials. We have no linen closet close to the bathroom and designed this hidden shelving that is tucked behind the bathroom door. When the door is open you don’t see the bathroom storage baskets and when it’s closed there is easy access to everything. These baskets are pretty traditional solutions but I also love to get crafty and have a few more ideas to hack in mind. 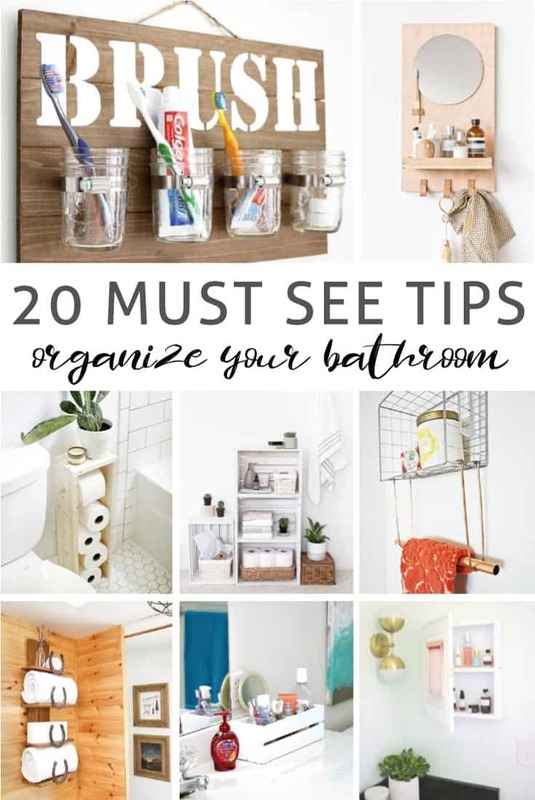 I’m sharing 20 must see tips to organize your bathroom today to help get you thinking about tidying -up. Head over to the end of this post to sign up for the newsletter and your free printable organizational check-list! 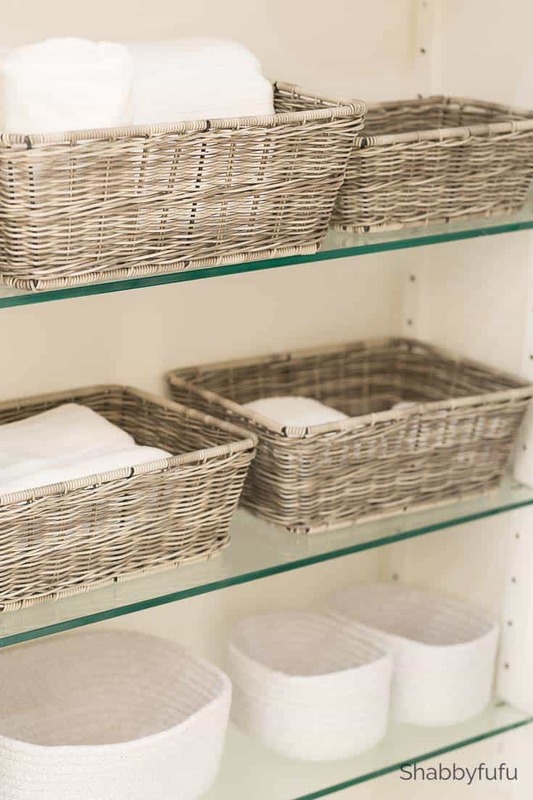 Love the bathroom storage baskets but can’t seem to locate where you purchased them? Linda, those were all found at HomeGoods. Thank you for stopping by!